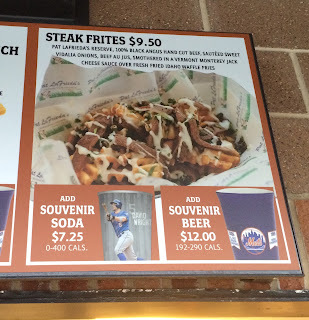 We had Steak Frites from Pat LaFrieda at Citi Field. 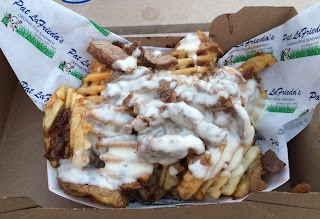 It consist of 100% black angus hand cut beef, sauteed sweet Vidalia onions, beef au jus (I think it means gravy sauce), Vermont monterey jack cheese sauce and Idaho waffle fries. The photo on the board had some green toppings, which seemed to be parsley or green onions, but actual dish didn't have anything green and was covered in the cheese sauce. 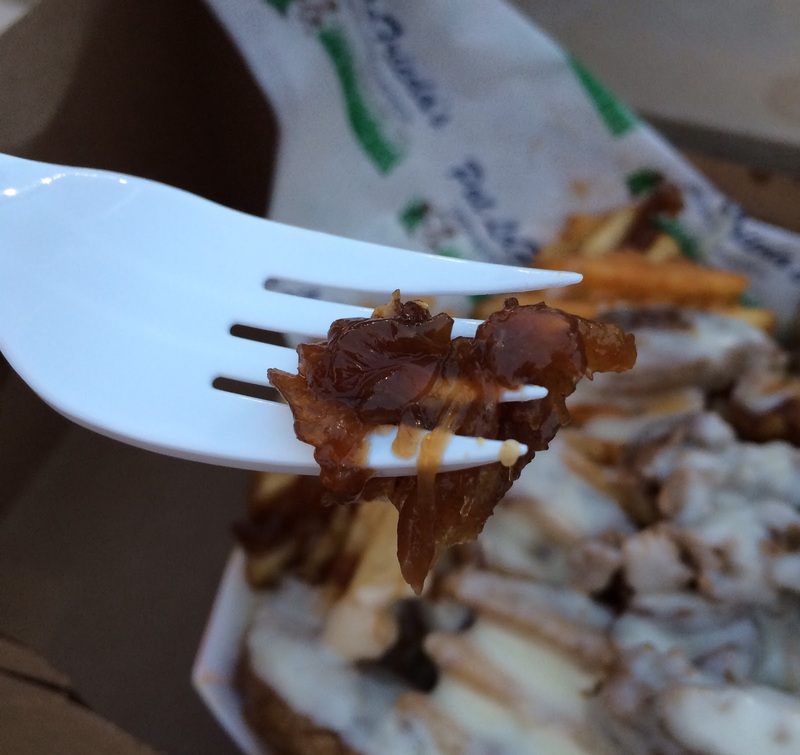 Waffle fries were freshly fried and hot, and the outside was crispy. 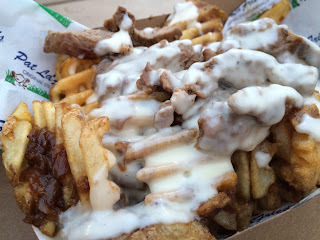 However, those pieces smothered in the salty and creamy cheese sauce were soggy. 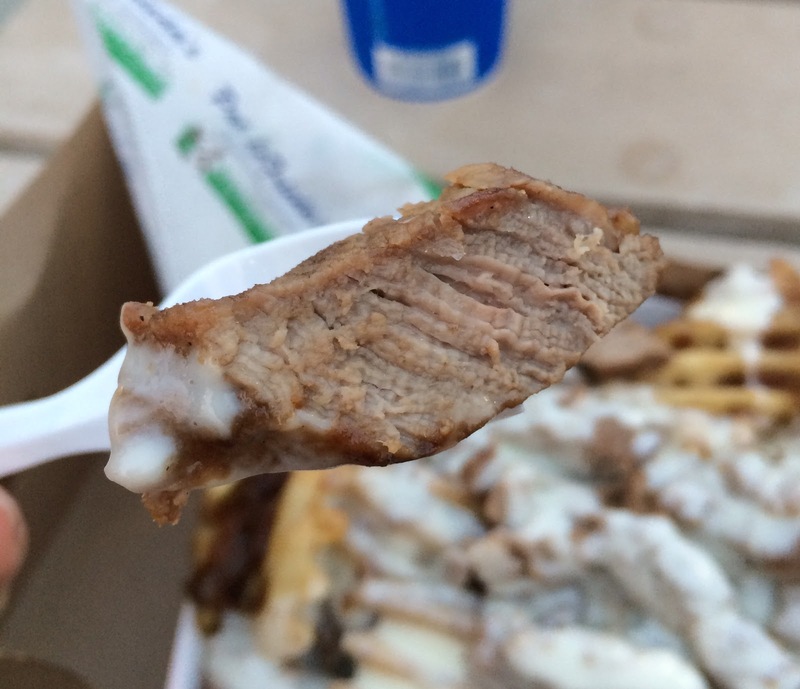 There're many steaks in the fries, and they're soft, juicy, and not dried. Sauteed onions were very sweet and flavorful. If the cheese sauce was drizzled like the image, the fries could have been crispier. 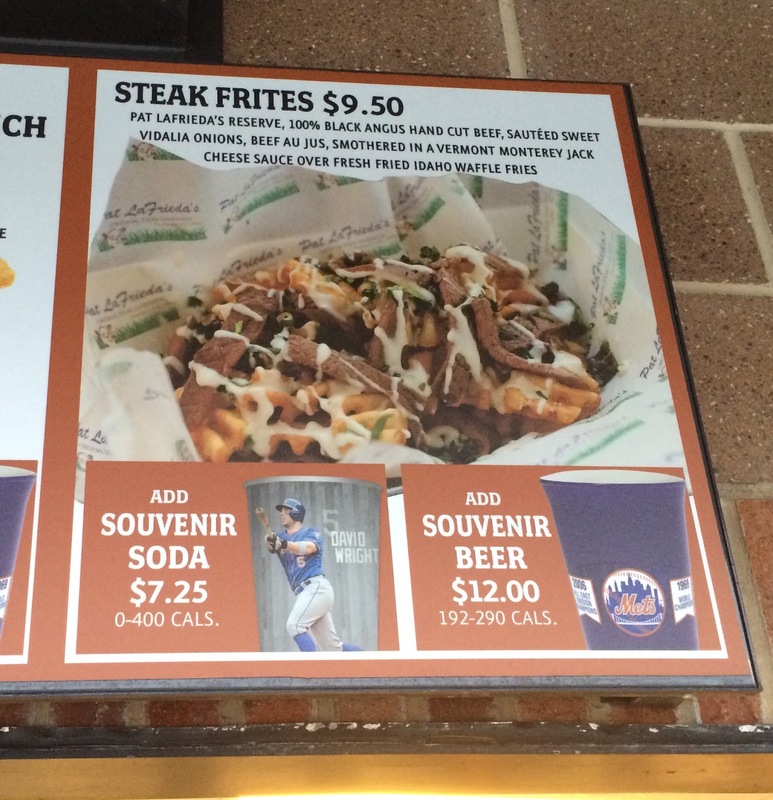 Other reviews of Citi Field.